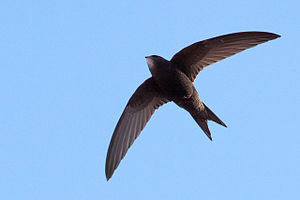 Tanya & Edmund Hoare will give a talk about swifts, familiar birds but mysterious in many ways. Swifts are amazing birds, and their screaming parties and acrobatic flight light up our skies in early summer. Tanya and Edmund have a colony of swifts nesting in the eaves of their cottage in Cumbria and many aspects of the secret lives of swifts will be revealed in this talk, illustrated with video clips from cameras installed in the nest sites. They will also describe the latest research on swift migration, obtained with the use of tiny devices called geolocators. Sadly swifts are in serious decline and the reasons for this, and efforts to help this most aerial of our birds, will be discussed.